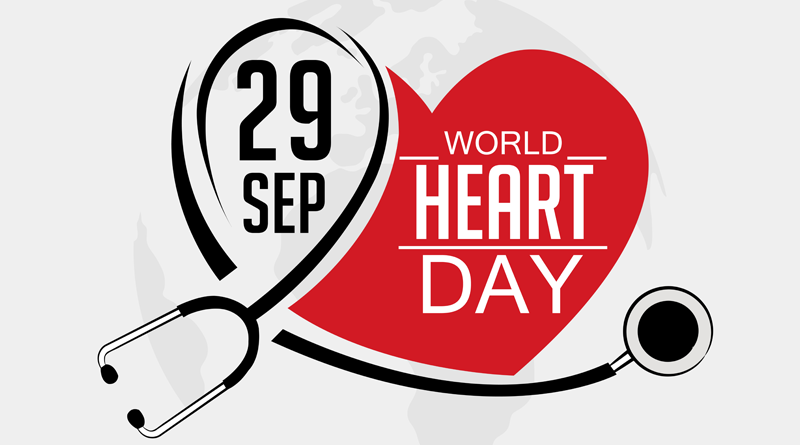 Every Year,World Heart Day is celebrated on 29th September. This day was founded on 2000 by World Heart Federation,A Non-Governmental organization based in Geneva, Switzerland. This day was founded to inform and educate the people around the world that heart diseases and strokes are the leading causes of death in the world and also highlights the actions that individuals should take to prevent and control CVD. Through this Campaign, Together with health organizations such as WHO, World Heart Federation (WHF) unites people all around the world and inspire and drives international action to encourage heart-healthy living across the globe. It aims to educate people that by controlling risk factors like use of tobacco , intake of improper diet and physical inactivity, We can avoid at least 80% of premature deaths from heart diseases and strokes. “You live longer and healthier if you have a heart that beats without any complications”. “Life is more beautiful and more fun when you have a heart that beats right”. ‍ “Do what it takes to start, to have a healthy heart”. “Fruits & veggies – more matters”. “Heart disease let’s defeat, Keep a healthy Heart Beat”. “Put a stop to it before it stops you”. Nothing’s more precious than human life. On this #WorldHeartDay, I bat for @CSI2018Mumbai and @MCGM_BMC’s Sudden Cardiac Arrest Awareness Initiative and pledge to learn Hands-Only CPR. Lend your hands to save a heart today. #WorldHeartDay raises awareness about cardiovascular diseases, which are the biggest cause of death & also promotes preventative measures to reduce the risk of cardiovascular diseases. So this day, make your heart a promise to staying active & start living heathy lifestyle. Every Year,World Heart Day is celebrated on 29th September. This day was founded on 2000 by World Heart Federation.